This 4 piece package of gold colored Brass S-Hooks are 1/12th scale dollhouse hardware pieces. The S-Hooks are Brass, shiny & gold colored. 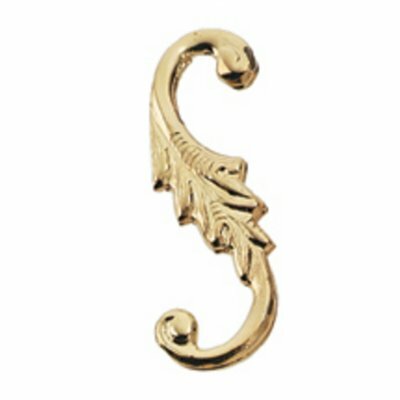 This Gold Brass S-Hook 4pc is supplied by Aztec Miniatures, which generally ships within 8 business day(s) of you placing your order .